Before New York mayor Bill de Blasio ever took office in the Big Apple, he was lobbying for more transparency in the political system. Specifically, he was an advocate of more open public records laws, and of the state governor’s office adopting policies that would streamline the processing of public records requests from journalists, watchdog groups, and concerned citizens. All of this effort is now striking a bit of an ironic chord as de Blasio’s office tried to defend some recent internal policy changes at the New York mayor’s office which seem to directly support increased secrecy and filtering of publicly requested documents. Starting early this summer, the mayor’s office issued a mandate that requested all public records requests to any city agency be redirected to the mayor’s office. Specifically, the request was that any requests which could “reflect directly on the mayor” be handled by the de Blasio office. Of course, this broad definition gives fairly wide oversight and makes it so that basically any Freedom of Information Act request could fall under the blanket of the mandate – and therefore the watchful eye of the mayor’s office. Understandably, transparency advocates and groups are worried about the new policy, saying that it has the potential to do more harm than good. In fact, it’s hard to see what good, from a public perspective, would come of such a decree. When a public records request is filed, there are certain exceptions under which criteria can be redacted. These criteria are fairly specific and try to err on the side of the public’s right to know. 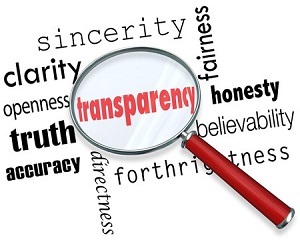 When responding within the legal confines of sunshine laws, public offices are required to disclose any and all information within the scope of the request and which is not specifically exempted by an exception. With the mayor’s office’s new policy, it seems like there might be some sort of editing middleman when it comes to fielding requests, which sounds to many, well, illegal. In the end, what might happen is that the office’s team of lawyers turns to a partial PR role, helping to filter what is said about the mayor in any released documents. A representative for the office said that the mayor’s lawyers had already responded to over 500 of the 700 requests that the office had received since the mayor took office roughly 19 months ago. The requests are fielded by a team of around 60 lawyers based out of various departments in the city. In its defense, the office has noted that they think they can speed up records request response times because the mayor’s own highly experienced team can respond with less ambiguity and questioning along the way, which may cause delays when other city employees attempt to field the requests. Additionally, the mayor’s office has said that this move is meant to lead to more transparency, rather than less, as the legal team knows public records law well enough to not redact extra information unnecessarily ‘just to be safe,’ which might happen should a request be handled by a less experienced team.